NEW HAVEN, CT: Alyce Sapko, age 87 of New Haven, a former longtime Seymour resident, she entered peaceful rest on December 12, 2017 at the Mary Wade Nursing Home; she was the beloved wife of the late Paul Sapko. Mrs. Sapko was born September 17, 1930 in Derby, daughter of the late Joseph and Alta (Muraski) Waskewicz. 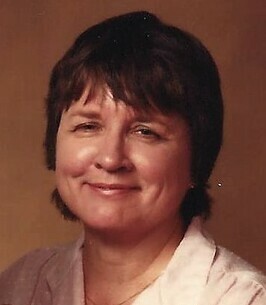 Alyce was a retired Secretary from the Town of Seymour, Board of Education. She was a former member of the Seymour Library Board. Alyce loved animals, decorating, tag sales, and reading, classical music, and politics. Mrs. Sapko leaves her loving family including, her son, Paul Sapko (Pam) of Kennett Square, PA, a daughter, Natalya Sapko (Joseph Hamilton, Jr.) of New Haven, her sister, Lucille Houghtaling of Santa Ana, CA, her granddaughters, Hannah Sapko (Kacey Stewart) of West Chester, PA, and Larissa Sapko of Philadelphia, PA. Her daughter Tania M. Sapko predeceased her. There are no calling hours. All services are private. Memorial Gifts may be sent to the Seymour Public Library, 46 Church St., Seymour, CT 06483. Arrangements have been entrusted to the Ralph E. Hull Funeral Home, 161 W. Church ST., Seymour. To share a memory online, go to www.hullfh.com The family wishes to extend their thanks to the staff of the Mary Wade Home for the excellent care they provided to Alyce. To send flowers to the family of Alyce Sapko (Waskewicz), please visit our Heartfelt Sympathies Store. We encourage you to share any memorable photos or stories about Alyce. All tributes placed on and purchased through this memorial website will remain on in perpetuity for future generations.